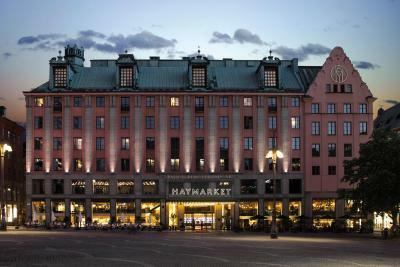 Lock in a great price for Haymarket by Scandic – rated 8.7 by recent guests! Location and design. Very modern. Good breakfast. Checkin/out was quick. The location is perfect and the breakfast is very good. Very nice breakfast and as it was served in Paul's restaurant, it didn't feel as a 'standard' hotel breakfast. We were in a hurry so didn't have quite as much as I would have liked, but very nice nonetheless. The vibe and interior decoration really take you to another place, I felt I was on a movie set. Staff is very friendly and speak English extremely well. Even though the hotel is quite large, it never feels overwhelming. It has a comfy and cozy feel. The hotel itself is rather interior design heaven than hotel! Starting with hotel reception, restaurant, bar and ending with most beautiful bathrooms, every little peace and detail is just perfect! My truly highest recommendation for staying in Stockholm when it comes to look and location of hotel as well as service and atmospher. I traveled with my mom, we got a room without a window but it was really cosy. Unfortunately, we didn't sleep well because of the high temperature in the room and we couldn't make it low. Besides, the mattress was soooo good! I'm a French interior designer so, I really liked all the design and decorations in this hotel, it's beautiful, so Art Deco, we felt like we were in the 30's with the music and everything. We were satisfied with the staff, they answered all our questions. The period we went was kind of quiet so we always had a table at breakfast and it was perfect, a lot of choice of food and drinks, that's appreciable. The location is also perfect, you're close from everything, the train station is like 5 minutes walking from there, easy! We didn't use the metro or taxi to get where we wanted to go, we did everything by walking, best way to discover a city you don't know. I surely recommend this place to stay, no disappointment. The room was quiet, and the beds were comfy. The breakfast was delicious, and had a wide variety of choices. The location was great as well. The front desk staff was nice. Overall though, I enjoyed my stay. I loved the location, it’s in the middle of everything! The staff was so friendly and helpful. I loved their breakfast. It is a buffet style and loved their selections. Highly recommend adding breakfast options because it is worth it and it’s probably cheaper to eat at the hotel (but the quality food!). 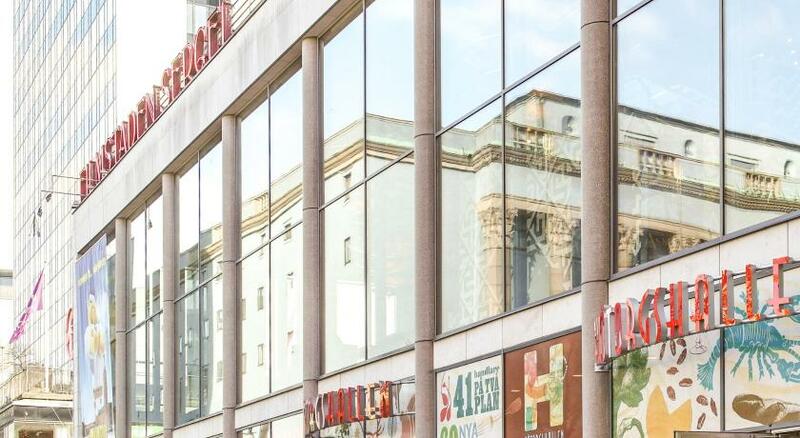 Haymarket by Scandic This rating is a reflection of how the property compares to the industry standard when it comes to price, facilities and services available. It's based on a self-evaluation by the property. Use this rating to help choose your stay! One of our top picks in Stockholm.Opened in May 2016, Haymarket by Scandic is an art-deco themed hotel located next to Hötorget Square in central Stockholm. It features modern design and architecture, as well as a cocktail bar, small cinema and fitness center with a glass roof. WiFi is free. A flat-screen TV with cable channels is standard for all rooms, as well as a bathroom with a shower. Some rooms also feature a seating area. 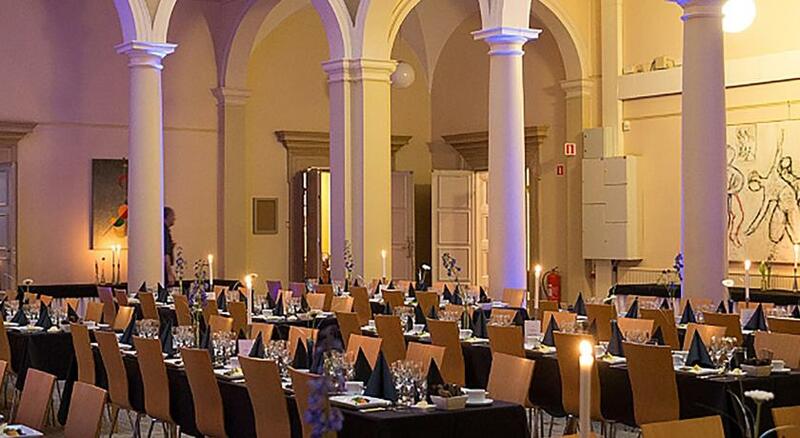 At Haymarket by Scandic, you will find a restaurant and lounge. Paul's, the in-house brasserie offers a selection of European dishes, while Gretas is casual space to enjoy coffee during the day and champagne with oysters at night. Additional services include a 24-hour front desk and gift shop at the property. 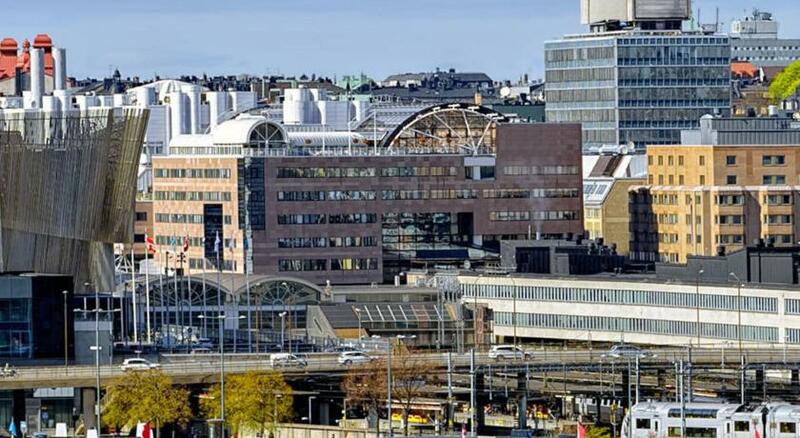 Sergels Torg Square is 1,000 feet from Haymarket by Scandic, while Stureplan is 2,300 feet from the property. 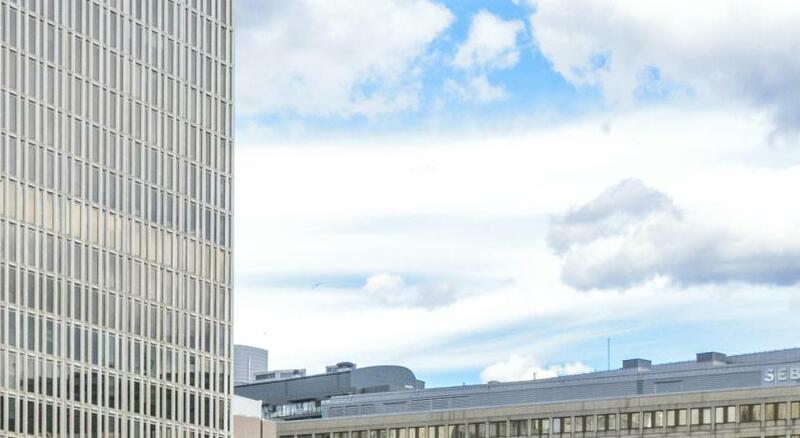 The nearest airport is Bromma Airport, 4.3 mi from Haymarket by Scandic. 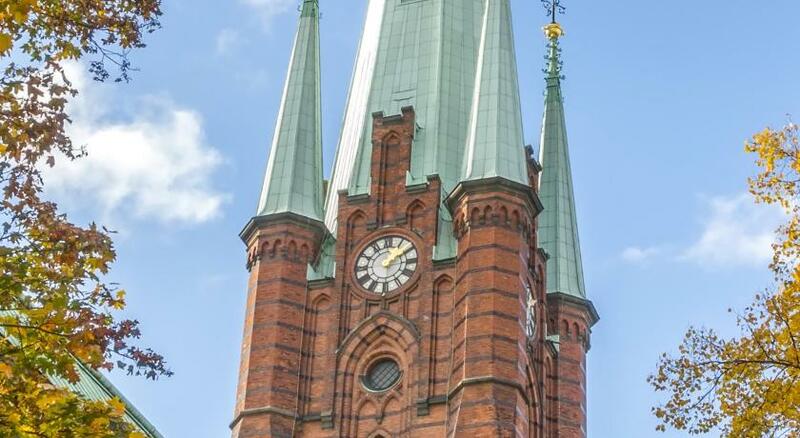 Norrmalm is a great choice for travelers interested in shopping, food and walking. 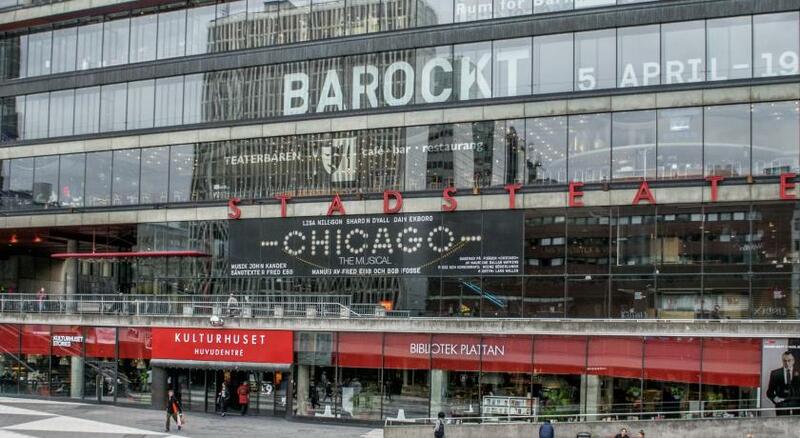 When would you like to stay at Haymarket by Scandic? Haymarket by Scandic Historical facade, timeless interior, and a soul that is utterly contemporary. 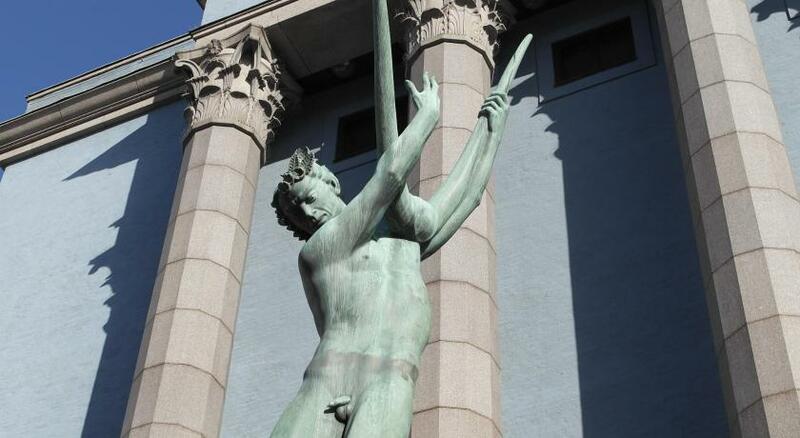 Stockholms first hotel classic in decades, a hotel combining classic touches with an unexpected modern twist: The Roaring Twenties for the era to come. Situated amongst concert venues, cinemas and shopping malls, the impressive entrance welcomes anyone looking to experience a world characterized by opulence and elegance. As you enter the art deco inspired foyer, you quickly realize that this beloved, historic building is so much more than just a hotel, it's a destination in itself. The American brasserie Paul's is influenced by European cooking and elegance from days gone by. Gretas is an all-day place that starts with coffee and freshly baked bread and ends with oysters and champagne and in American you can enjoy both classic tipples and original cocktails. A modern reinterpretation of hotel bars from the "good old days." 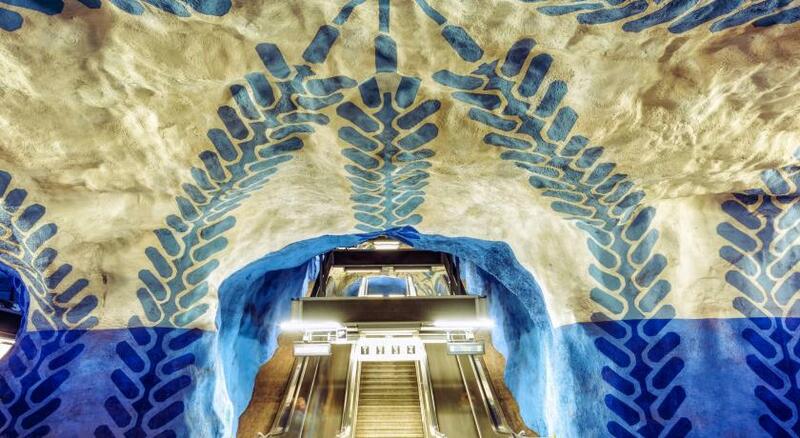 Haymarket is simply the place to be in the creative and bold capital of Sweden. Hotel surroundings – This neighborhood is a great choice for travelers interested in shopping, food and walking – Check location Excellent location – show map Guests loved walking around the neighborhood! House Rules Haymarket by Scandic takes special requests – add in the next step! Haymarket by Scandic accepts these cards and reserves the right to temporarily hold an amount prior to arrival. Guests under the age of 18 can only check in if traveling with parent. The rooms are tiny. Like a cupboard. The interior design of the hotel is great. Shower is kind of cold. It was not hot, it’s probably just warm... It seems that the wall is thin. I could listen to other guests voice from our room. First. Locked out of room when we are supposed to be there for another night. The same room have no hot water. Thereafter, changed to a much smaller room with hot water but the sink have issues and water gets clogged at the sink. Since it was our last day, we gave up and decided to stick to the room. The ambience and location were perfect. Staffs were pleasant and friendly but might be a little new to the job and took a while to understand our queries. Beautiful decor, excellent breakfast and a really comfortable stay. Breakfast area far too busy and too small for the number of guests in the hotel. Resulted in 10 minutes wait just to get a table. No separate shower and shower head over bath mounted far too low, so I could not stand underneath (I am 175 cm). Gym / fitness facilities very limited. Room was good but points detracted due to the large wardrobe blocking most of the entrance. Great location Hotel bar was good but very busy. Staff friendly but stretched. We booked for 3 nights but realised that we couldn’t access the room on the second day. Prior to leaving the room for our tour on the second day , we told a cleaning staff that the hot water is not working and he told us that he will try to fix it. We then left the room and found out that we cannot access the room when we returned. Went to the front desk and we gained back access to the room. Subsequently, the hot water in the bathroom was still down and we approach the front desk again. We were told to change room. The hotel staff was indeed helpful to offer help to change the room but we told them we could handle it well. The new room we were offered was small and without bathtub. Was a bit surprised why didn’t she tell us earlier. When we entered the lobby to return the keys of the old room without hot water, another staff asked if the room was better. So we mentioned that there is no bathtub but the hot water in the new room is working and slightly better. So she didn’t offer to change the room to a one with bathtub and close the case. :( (Travelled with two big luggage and it’s really sad to be in a small and tiny room as it makes packing of luggage really difficult. The decoration and location of the hotel was wonderful. The staff that serves us the first night was great too. She was friendly and helped us checked on how to get to the delivery airport. Beautiful Hotel! great location and good bar and restaurant. Very nice room and bathroom with tea and coffee too. Great breakfast and very friendly and helpful staff.